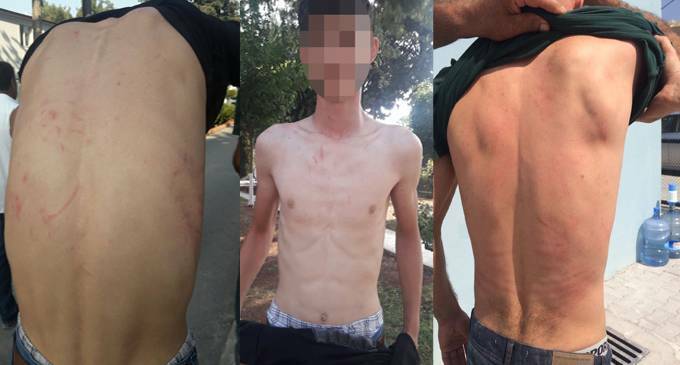 Two out of three children of Raziye Soner, a pro-Kurdish Republican Peoples’ Party (HDP) member who was arrested over terror charges on Dec 24, 2016, were beaten by police during a visit to their imprisoned mother. Soner reportedly attempted to greet the visitors of other inmates during a visit hour at Tarsus Women’s Prison, last week. When prison guards intervened, her children reacted to no avail. “[Then] they attacked us. When my mother reacted, they attacked her as well. We yelled at them after seeing our mother being attacked. At this moment, nearly 100 people entered the visitation room. They were all in plain clothes. They seized us by our throat and mopped the floor with us. They hit us in the head and stepped on us with their boots. Meanwhile, they were shouting: ‘You will see how strong the Turks are.’ Then they forced us out of the prison. We asked for water to clear our injuries. They even denied us water. On top of all, my brother [Cengiz Soner] and I was banned to see our mother for 6 months from now on,” her 17-year-old son Mehmet Azat told diHaber. Turkey stepped up its pressure on Kurdish minority, jailing many pro-Kurdish politicians and seizing administrations led by them in the recent past. “They can do this to us, what does prevents them from doing more to our mothers in prison?” Cengiz added.